This past Friday, Game week two from the Airtricity League Of Ireland. I attended my local club to watch them play v Derry City. I follow the team intently and have full faith in the manager and his ways, however, I turned up to the UCD Bowl with scepticism. I knew the pitch had been used in the week prior to the game for a rugby match between UCD and Trinity. As a result, I went directly to join in on the pre-game pitch walk to check the quality and instantly saw the repercussions of holding a rugby match on our football pitch. This was not, Not, in favour of UCD. A team that pride themselves in playing good quality passing football, lovely to watch but not so easy to pull off. I, Before this game have never really realised the importance of the pitch quality. The bouncing ball is impossible to play with in an attacking or defensive sense. The quality of soccer at junior level is poor right? How is the pitch? Answer. Sorted. Previously, many of soccer fans have been sceptical of the money being spent on club facilities and staff in the big leagues and now I see how worthwhile the expenditure is. 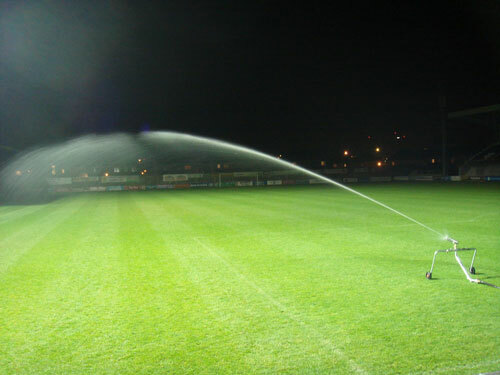 A stepping stone in the development of the Airtricity league should be the importance of maintaining and promoting pitch quality. A better pitch should produce better football. We should hope.